Textiles and fabric homeware brand, Dekoria, are Awin's Advertiser of the Month throughout June. To celebrate the summer, they have launched two large promotions for the duration of the month so that shoppers can bring that holiday feeling to their homes. We speak to Alicja Szalinska, Marketing Manager at Dekoria about the incentive and their plans to build long term relationships with their partners. You are running two large promotions during June as part of your Advertiser of the Month incentive, why is this month such a key promotional time for Dekoria? Summer is the time when we all feel happier, active and motivated so it is the best time for making changes, at home and outdoors. It is a key promotional time because Dekoria can help make these changes. 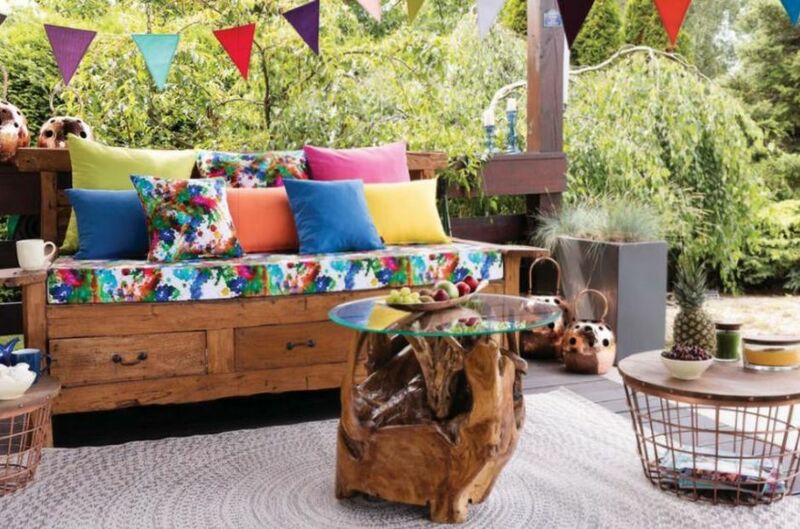 With just a few touches: colourful seat pads, pretty table runners and comfy cushions, our textiles can create that relaxed holiday feeling in the garden. For those eager to make a more dramatic change, we have in one place everything one needs for a complete home makeover: furniture covers, curtains, blinds, cushions and much more. We also have great interior designs prepared by our team - with links to all accessories we've used, so it's easy to shop and copy the look. Keeping all of this in mind, we came up with two strong promotions for June to enable our customers (via publishers) to harness that creative energy and transform it into a beautiful living space. How can publishers get behind these promotional opportunities? Do you have any tips? We have two compelling promotions this month and I would invite all publishers who are not yet our partners to join our programme now. Publishers love our vouchers and we find ourselves running a voucher/discount offer almost every month. This type of promotion works particularly well for content publishers such as interior and lifestyle bloggers and social media partners. Reviews, case studies, product comparisons, interior designs articles - to mention just a few - with an incentive for the reader are all great ways to capture sales and earn commission. At the moment we are particularly interested in growing our video online presence so we would like to see more vloggers promoting our offers e.g. in an interior design webinar or how-to-guide and we are keen to offer them our support in return. How can publishers continue working with you once your Advertiser of the Month placement ends? We believe in building long term relationships with our partners and we've already got more great promotions for late summer and autumn in the pipeline. We will continue to feature voucher and discount codes but we are also planning more commission boost incentives to promote more targeted product groups. We are also keen to co-operate with more content publishers with a view to creating valuable content together e.g. product reviews, guides or competitions. We can also offer exclusive deals. Most importantly we're all ears - if you have an idea on how we can work together, we want to hear from you! Are there any unique trends that you see through the affiliate channel? One of the most interesting trends we're seeing at Dekoria is the increased use of mobile devices by our customers. This translates into a noticeable growth in affiliate partners who operate in mobile environments such as apps. While this is still a fairly new trend, it is one that we expect to grow and we will be mindful of catering for those publishers in our strategic planning. How are you looking to grow the Dekoria affiliate programme over the next 12 months? Our focus for the next 12 months is increasing exposure for Dekoria brand and the number of conversions. To achieve this we will keep nurturing our relationships with our current partners, but we also want to increase the numbers of vlogs and mobile apps that we're working with. A combination of compelling offers, great advertising and strong online presence across all devices should help us all increase sales and enable publishers to earn great commission. Find out more or join the Dekoria affiliate programme here.